Home » About Us » Blog » Cuba at Home: Rueda de Casino in the U.S.
Cuba at Home: Rueda de Casino in the U.S. 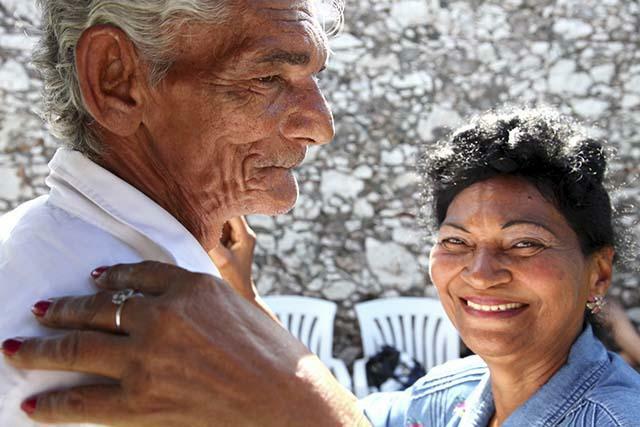 Dancing is one of Cuba’s favorite pastimes, and the popular rueda de casino dance is even getting people on their feet in the U.S.
Rueda de casino (named for Cuba’s gambling-houses-turned-dancehalls of the late 1950s) became popular on the island in the ‘50s and ‘60s. 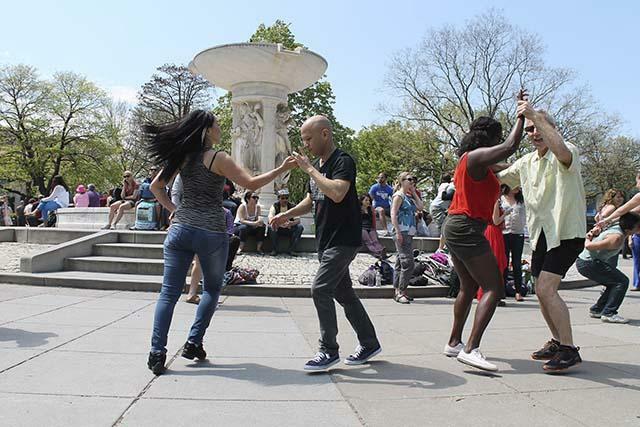 After the Revolution, when Cubans began immigrating to the U.S, the dance traveled with them. In Spanish, “rueda” means “wheel.” A group dancing a rueda forms a wheel or circle. A caller shouts out moves, sometimes using hand signals to be understood above the music. When the next move is called, dancers change partners. Rueda de Casino dance time at Dupont Circle in Washington D.C.
Like many Cuban dances, rueda has roots in the son style of music. An evening of rueda dancing would not be complete without catchy tunes. If you’d like to start practicing at home, check out the latest from Alexander Abreu y Havana D’Primera. Rueda de casino groups can be found throughout the country. Many communities hold rueda lessons and socials. If you can’t find workshops in your area, try Meetup.com. Once you learn the basics, you’ll be prepared to dance in Cuba, where you can learn more from the masters. InsightCuba’s Jazz in Havana Tour will introduce you to irresistible music and even more forms of dance, including the rumba. Remember to pack your dancing shoes!